The first few days had some pretty good wind. 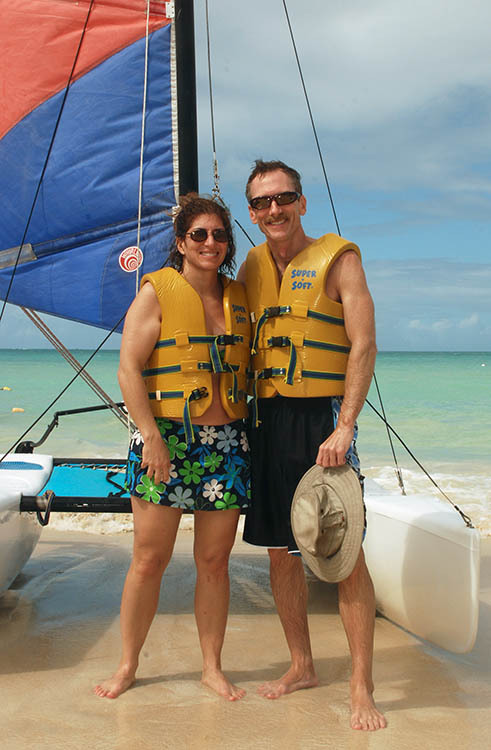 This shot (taken by a Sandals photographer) was snapped just after an exciting sail on the Hobie. We didn't tip it over, but the Tilley hat was christened once again.